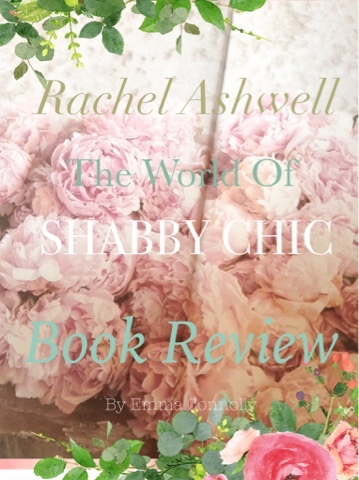 Rachel Ashwell, The world of shabby chic book review. The world of shabby chic by Rachel Ashwell was the book I'd been patiently waiting for for what seemed like forever.... Having devoured all her others and with an uncontrollable thirst for patina and beautiful imperfections I did not put my copy down for quite some time. What I loved about it.... Well it is brimming with gorgeousness on every page but for me it was more than just pictures. Rachel's soul poured from this book as the journey from the little English girl who traveled with her parents and found an ingrained passion from her heart for the love of shabby chic. The book tells an inspirational story of Rachel's life, growing up, having children, having a dream and never ever quitting. For me, it gives hope, hope that a single mother can dream big enough and pretty enough, and if.... you are prepared to work heart and soul, anything is possible. If you love pastels, old stuff and lots of white, and you're ready for a journey into the heart of all that is truly beautiful and unique, then this book will not disappoint. No coffee table should be seen without a copy!